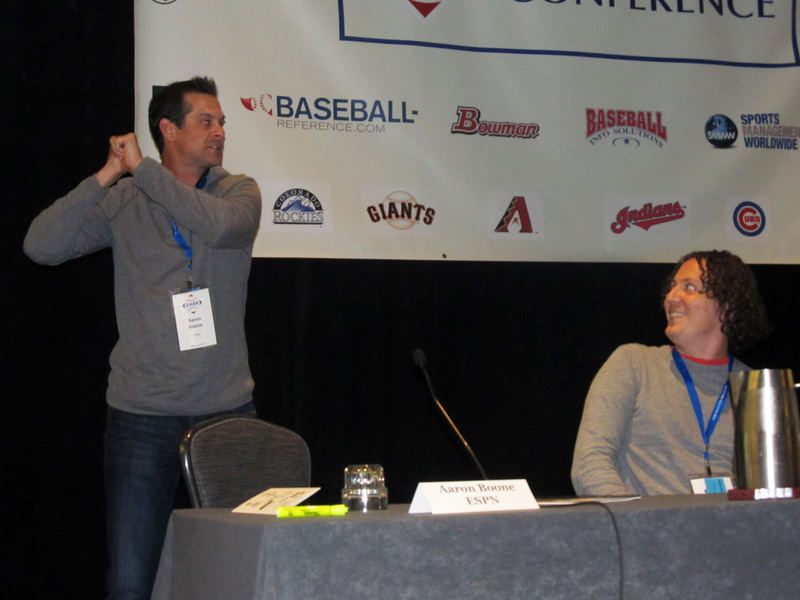 At the SABR Analytics Conference on Thursday, March 10, 2016, two former major-league players and a baseball analyst discussed how analytics are used from a hitters and pitchers' point of view. 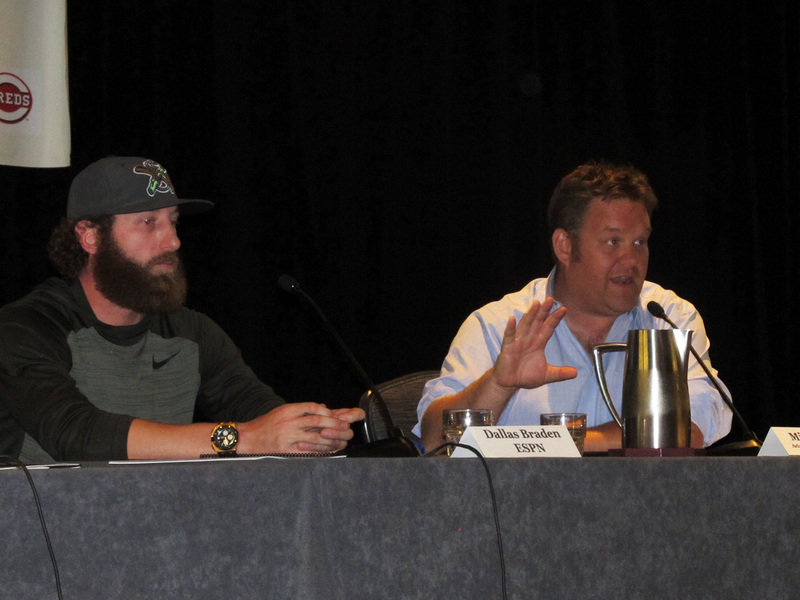 The panel included ESPN analyst Aaron Boone, whose 12-year career was highlighted by his game-winning home run in the 2003 AL Championship Series; ESPN's Dallas Braden, who pitched a perfect game for the Oakland A's in 2010; analyst Eno Sarris of FanGraphs, and moderator Mike Ferrin of the Arizona Diamondbacks and MLB Network Radio. Boone: “I thnk the lowering over time of the strike zone, and you can track it, it’s definitely shrunk several inches down to the bottom where that’s more consistently called. I think that’s as big a reason as PED testing in offense being down a little bit. And yes, guys will make adjustments, but I think if they were to adjust it back, there would be all kinds of unintended consequences." This page was last updated March 18, 2016 at 12:34 pm MST.